Whether you make a one-time donation of a few dollars or share our story on Facebook, it matters greatly to the children of House of Hope. 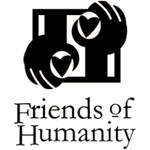 Friends of Humanity is saving lives every day in the Port-de-Paix region of northwest Haiti. Few people are called upon to be heroes or save the world. In Haiti, even the smallest contribution can make the difference between life and death. You are a very real hero to the children of House of Hope La Pointe. You can make a difference in many ways. If you don’t have time to volunteer, a donation will help those who spend their lives helping the neediest of the poor in northwest Haiti. If you have more time than money, your enthusiasm is a priceless source of encouragement. Anything is better than nothing, because under the correct stewardship, even small resources have a life-changing impact in Haiti. You can make a financial contribution, donate used items in any condition, become involved as a volunteer… there are many ways you can turn the “I” of Haiti into the shared joys of friendship and hope. We welcome your help in any form. After the earthquake in Haiti, the world responded generously. When very little of this generosity benefited the people it was meant to reach, generosity was replaced by cynicism. The truth is, few organizations understand how to make a difference in a country such as Haiti. It is not enough to give. One must also know how to give. Extreme poverty has ruled the people of Haiti for two hundred years. It is woven into Haitiʼs history. Change occurs slowly, sometimes one life at a time. Improvements can be almost imperceptible against the backdrop of suffering, but they are life-altering to the people they touch. The Haitian people demonstrate the best of humanity under the most inhumane conditions. They have retained a spirit of optimism and kindness despite all odds. Haiti matters if you believe that human life matters and that each individual is priceless and irreplaceable.